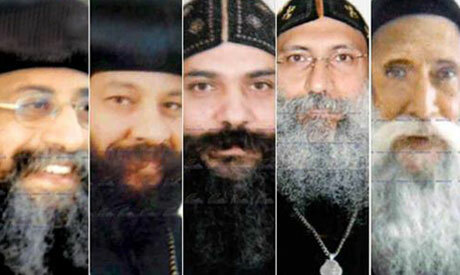 Egypt's Coptic Orthodox Church has announced the names of the five candidates in the running to be the next Pope. Two bishops and three monks have been chosen by an 18-member Church committee as potential successors to Pope Shenouda III, who died in March aged 88. 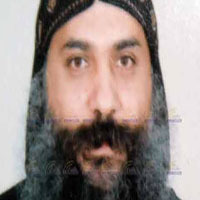 Bishop Pachomios, current head of the Orthodox Church, revealed the names during a Saturday afternoon press conference held at St. Pishoy Monastery in Wadi Natroun, north of Cairo. The five candidates will compete in papal elections to be held before the end of the year, in which 2,411 members of the Orthodox Church – men and women, all at least 35 years old – will vote. The three who receive the most votes will take part in an "altar lottery", with a blindfolded child choosing the winning name from a sealed box. Born in Aswan in 1963, he holds a joint-degree in science and education. 2. 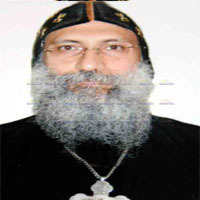 Bishop Raphael: Auxiliary Bishop of Central Cairo and Heliopolis, former aide to the late Pope Shenouda III and a member of the Holy Synod. Born in Cairo in 1942, he has a law degree from the University of Ain Shams. Born in 1959 in Cairo, Seraphim has a science degree from the University of Ain Shams. 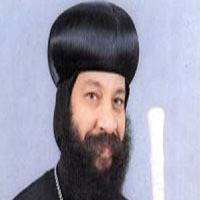 A member of the Holy Synod, Tawadros was born in 1952 and studied pharmacy at the University of Alexandria. He was ordained in June 1997. 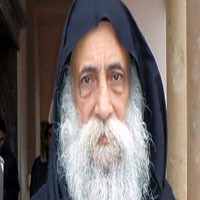 The long-list from which the five were chosen comprised just 16 candidates, following the withdrawal of Bishop Kyrillos of Milan earlier in October. 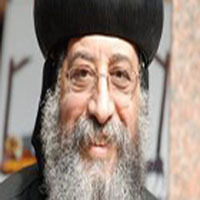 Among the expected front-runners who didn't make the shortlist are Bishop Pishoy, secretary of the Holy Synod and Metropolitan of Damietta, Bishop Youannes, former secretary Pope Shenouda III, and Bishop Botros, former personal secretary to the late pope. All five candidates are good choice and God will choose the right Pope Amen. Wise Decisision by the Committee to Elect in this way. I agree 100% with the decision. It makes the rest of the process much easir. Chose the liberal and smart who belong to our time. Keep our religion of love and forgiveness free from ugly politics.